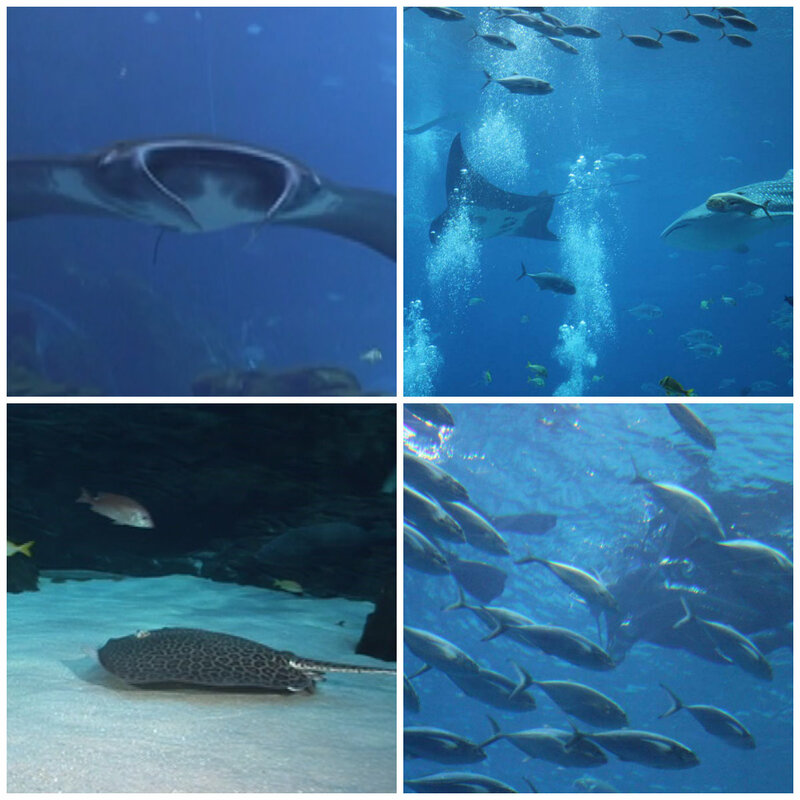 This entry was posted in Adrenaline, Adventure, Atlanta, Georgia, Travel, USA, Water Adventure and tagged Adrenaline, adventure, Atlanta, bucket list, Bucket List Publications, bucketlist, Georgia, Georgia Aquarium, Lesley Carter, manta rays, sharks, swimming, travel, Travel blog, travel magazine, USA, vacation, whale sharks by lesleycarter. Bookmark the permalink. Awesome! Good for you staring those fears down! You are so brave! Amazing photos. They got my adrenaline going just from looking at them! You afraid of something, Lesley? Impossible! I have lots of fears, but I don’t let them get the best of me. Lesley, the video is beautiful. You are one brave woman! I guess everything worthwhile in life is like that – you have to focus on the thing that you want to achieve or the joy you want to have and move through the fear to get to it. Thanks for sharing your exploits! Thank you Sophia! I appreciate the encouraging words. Amazing pictures, you are truly brave. Awesome. I’m too pretty scar of sharks… Maybe I should try this! It gave me a new outlook on under water adventures. That is an out-of-the-human-world experience. 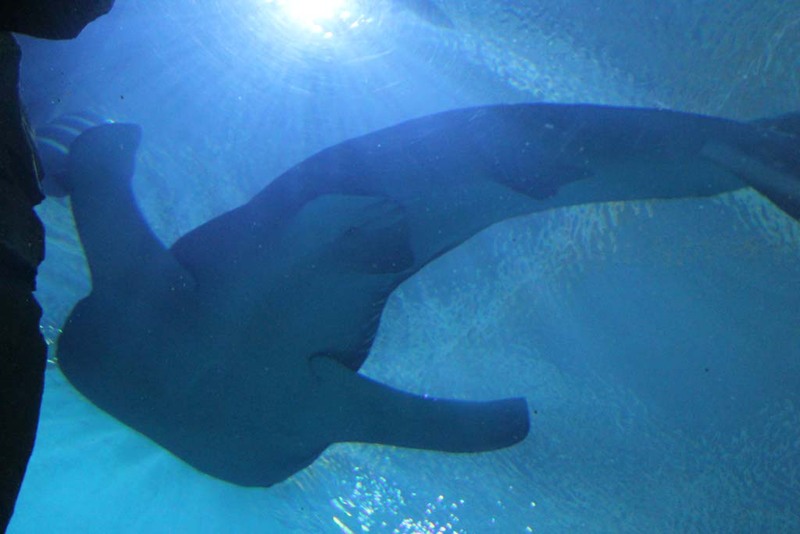 Hoping to make it to Gorgia Aquarium someday! thanks for sharing. Way to go! There is a saying in trail running that if you aren’t running close to the edge, then you are taking up too much space on the trail. Way to live your edge, lady!! I want to get in the ocean with them next! “Decide you want it more than you are afraid of it.” One of my favorite pieces of advice to give! Yay for you to do this. What an amazing experience. It’s so true…You have to push through fear and make yourself do things. You are definitely stronger than me! I too have an intense fear of sharks and probably would not have been brave enough to do that. Kudos to you! So incredible!! This is on my bucket list as well!! Thanks so much for sharing. 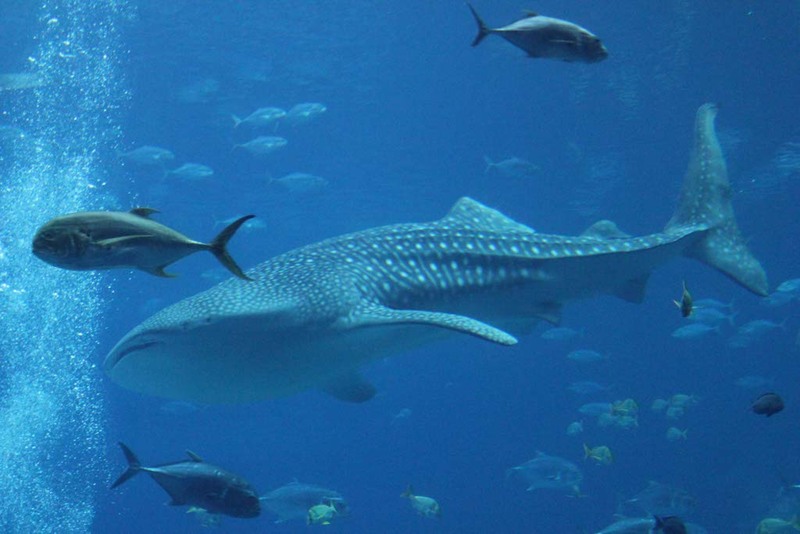 If I can’t find a whale shark in the wild, I know to make a trip to Atlanta! You are so brave and adventurous! I love your daring spirit! My granddaughter-in-law studies sharks. She loves them! So glad you let yourself go and truly let yourself enjoy it! These are amazingly beautiful pictures and a great story. You are very brave! I know at this point in my life I will never do this, so it was nice reading about your adventure. Now that’s what I call brave. Well done, Lesley, have lots more adventures please. In watching the video I could feel the peace. What an amazing experience!! I’m hoping to go cage diving with sharks in Hawaii. 🙂 Thanks for sharing, Leslie! Thank you for this great example. This is a wonderful way to live life: Face down fear. Steve Jobs said that facing death increased his ability to be creative because he realized he had nothing to lose. Having nothing to lose liberates us from all our fears. Wow that is a dream for me! I would love love love to dive the in aquarium! Wow, you go girl!!! I clutched onto my mouse as I scrolled down to this entry, so much built up anticipation and I’m so glad it resulted in a wonderful experience! Hi Lesley,you are one BRAVE Lady, awesum stuff..
That’s fantastic! Love the photos! This is phenomenal. My 11 year old son was just talking about the whale sharks at that aquarium. I will have to share your blog with him. You’re never too young to start dreaming of all you’d like to try. Is it as peaceful as I can imagine? Congrats yet again on living your life to the fullest! 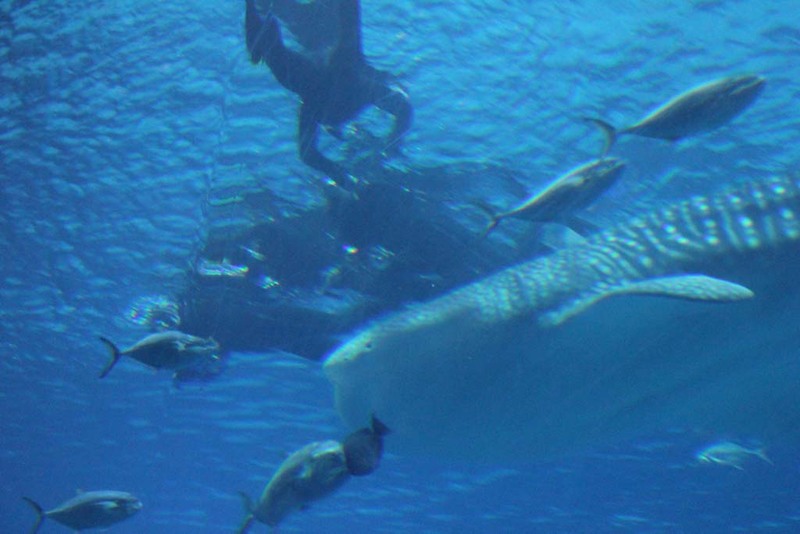 Whale sharks are such a unique species, what a great opportunity Georgia provides to those brave enough to dive in. Never ever made it on my bucket list…. don’t think it will. HA! But, you did it! Come on down to Cancun during the summer, before the end of September. 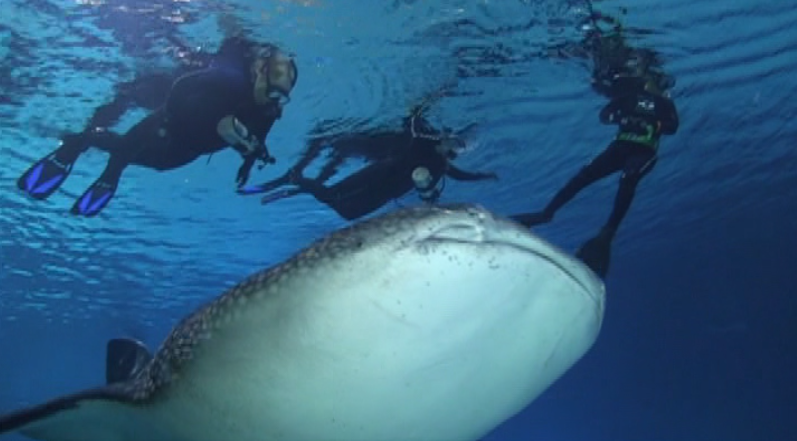 You can swim with whale sharks in the wild. That is really incredible. And they get to be as big, if not bigger, than the boat! Great photos. My son would love to do this. He likes to swim with leopard sharks here in SD. Beautiful pictures of a beautiful experience! I can’t say I share the same desire to do that particular adventure, but you’ve got me thinking about what I may be avoiding out of fear, but that I would really love to do…thanks for the inspiration! What a wonderful and motivating blog post. Well done and congrats on conquering your fears! I’m glad you shared the part about breathing.. I’ve come to realize that I am in the midst of a big moment when I have to remember to breathe! and thanks for liking my post about the touchdown dances! I feel so inspired right now!!! what an amazing experience. video is excellent. I’d recommend moving that up to top of the post. It’s really stunning and just puts you there. Thanks, too for following my stuff, I am always pleased to see your likes (often the only one!) and appreciate the support. I would do it, but I would be afraid, at least at first. I was swimming in a lagoon in Mexico once and a school of barracuda passed me. I was kind of nervous, then some fish, I think they were giant sea bass, like as big as ME swam towards me and I freaked out and headed for a dock! Well…sharks…let alone huge whale sharks would terrify me, but I tend to do things if other people can prove to me that it’s relatively safe. So I’d do it too, besides I’d be too curious not to! What an awesome experience, you’ll have so many stories – write some books and keep blogging! Well written. I started reading it and just kept going. Enjoyed the video too. Your message is inspirational.